Four people, including two minor girls, were injured in heavy shelling by Indian troops in Azad Jammu and Kashmir’s Nakyal sector on Sunday, an official said. “Indian troops started heavy mortar shelling at about 7am in the morning, targeting civilian populations in almost all villages along the Line of Control (LoC),” said Nakyal Assistant Commissioner Waleed Anwar. A shell exploded on the roof of the house of one Haji Aslam in Palani village, critically injuring two of his daughters, he said. The victims were identified as Musarrat, 22, and Samra, 15. Elsewhere, in the same sector, 11-year-old Aleeba Majeed and 35-year-old Muhammad Zahoor Mughal were injured in Jair Merg and Dharoti Naari villages respectively, Anwar said. He said three of the victims had been shifted to District Headquarters (DHQ) Hospital Kotli owing to their critical wounds. According to him, the shelling has not stopped. The heavily militarised LoC has been witnessing intermittent heavy shelling for a long time now, in a serious breach of a November 2003 truce agreement between the Indian and Pakistani armies. Scores of civilians have been killed and injured as a result. Two locals in AJK’s Poonch district were injured in a recent incident of cross-border firing. 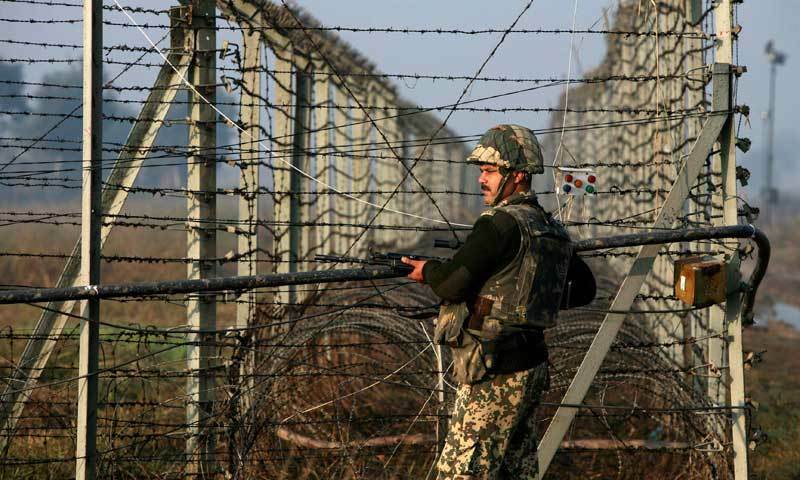 Three members of a visiting United Nations Military Observers Mission for India and Pakistan, who had arrived to inspect the situation along the LoC, barely escaped with their lives.